You'll be £28.00 closer to your next £10.00 credit when you purchase The Dawn of Carrier Strike. What's this? Among all the celebrations of the RAF’s centenary, it was largely forgotten that the establishment of an independent air force came at a cost – and it was the Royal Navy that paid the price. In 1918 it had been pre-eminent in the technology and tactics of employing aircraft at sea, but once it lost control of its own air power, it struggled to make the RAF prioritise naval interests, in the process losing ground to the rival naval air forces of Japan and the United States. This book documents that struggle through the cash-strapped 1920s and ’30s, culminating in the Navy regaining control of its aviation in 1937, but too late to properly prepare for the impending war. However, despite the lack of resources, British naval flying had made progress, especially in the advancement of carrier strike doctrine. These developments are neatly illustrated by the experiences of Lieutenant William Lucy, who was to become Britain’s first accredited air ‘ace’ of the war and to lead the world’s first successful dive-bombing of a major warship. Making extensive use of the family archive, this book also reproduces many previously unseen photographs from Lucy’s album, showing many aspects of life in the Fleet Air Arm up to the end of the Norway campaign. 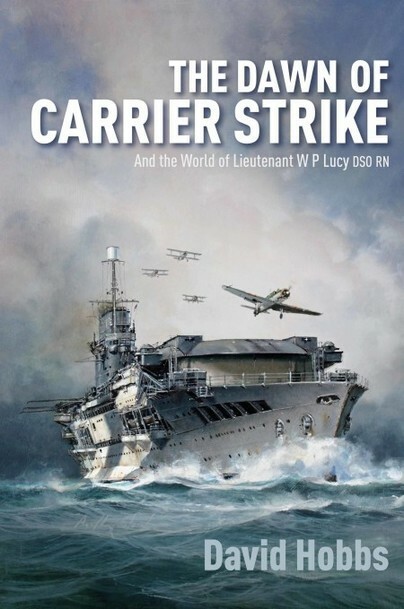 Although it is beyond the scope of this book, in November 1940 the inter-war concentration on carrier strike was to be spectacularly vindicated by the air attack on the Italian fleet at Taranto – it inspired the Japanese to a far larger effort at Pearl Harbor the following year, but the Royal Navy had shown the way. The text is highly authoritative and in-depth and comes from one of the most respected authors in the field.